by Giani Gurdit Singh. Sahit Parkashan, Chandigarh. Pages 544. Rs 200. Mitthewal, an obscure Malwai village of the Malerkotla state of yore, was to be immortalised by Giani Gurdit Singh, in any essay written way back in 1953 at the time of the amalgamation of the states and the creation of East Punjab following Independence. Later this essay took the shape of a book called Mera Pind that has enjoyed a place of pride in Punjabi prose for over half a century. 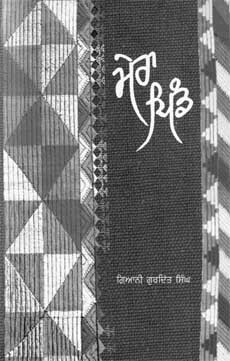 Now in its seventh edition in a beautiful phulkari cover, the book makes for delightful reading still and now it also has archival value for it captures times gone by with a rare flourish. The journey to Mitthewal is through the heart of a writer who is as rooted as they come and knows the way back to his village, its legend, lore, lifestyle and even the eccentricities of the people as well as he knows the back of his hand. It would not be out of place to say that Gurdit Singh did for Mitthewal decades ago what Isabel Allende did for Chile more recently in her memoirs called My Invented Country. In fact to younger readers the prose may read as fiction for here is an era that they know nothing of. What raises the crisp Punjabi prose to the realm of the extraordinary is the fine sense of humour that it is laced with. The writer never allows himself to fall in the abyss of sentimentality. The first essay that paved the way for this classic is included in this book as Mere Pind da Moonh Matha and it makes for wonderful reading as the writer meanders through the narrow lanes and by-lanes of memory. Most hilarious is the account of the setting up of a post-office with the villagers contributing money to have their mail delivered to them. However, the end to the red colonial letterbox comes when an angry peasant, Mehju Jat uproots the contraption with his plough calling it a big wastage of the village resources for mail seldom reached it. A few mastanas (mendicants) visiting the village turn it into a drum and make their way out of the village dancing to its beat. This is the mood of the memories etched out in the autobiographical essays with the writer never failing to see the funny side but also highlighting the broad secular traditions of the agrarian society where people of different faiths and callings lived together in harmony. In fact it is not just the story of Mitthewal but any other Punjabi village set in a period before ‘development’ took over. The innocence that marks the narration has to it the elements of universality. Reading of his grand-uncles devouring the halva made for the entire wedding party, I am reminded about stories of my own grand-uncles who could drink a whole can full of pure ghee, walk a 100 miles and never know of ailments like hyper-tension or diabetes. In the second section of the book, the songs, dances and rituals of the village are well captured. The volume also includes comments by well-known writers and connoisseurs who were first charmed by the book, including Devendra Satyarthy, Khushwant Singh, Balraj Sahni, Nanak Singh and Sant Singh Sekhon. Says Khushwant Singh: "The book gives a lively picture of pastoral life, written in delectable prose, studded with aphorisms, anecdotes, proverbs and songs. The one thing that will give Mera Pind a long lease of life, if not immortality, is the fact that the author has used the Punjabi language as it is spoken by the common people." For this reviewer it is not enough to revisit this classic. The itch now is to visit Mitthewal and see how life is now in comparison to how it was then. Watch out Mitthewal here I come.